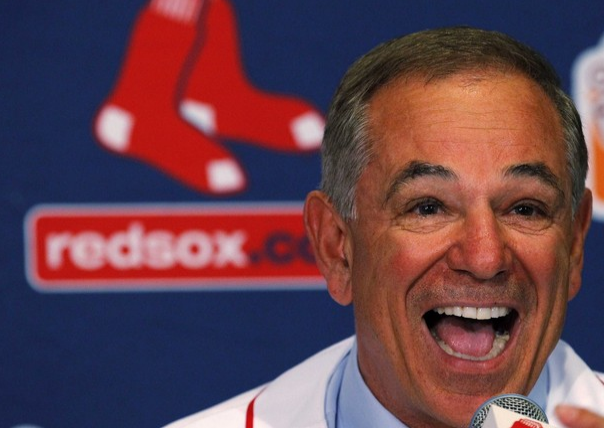 Sources confirmed earlier today that the producers of the highly acclaimed new “Magic/Bird” musical have inked a deal with Bobby Valentine to create a future musical concerning the battle for the fifth spot in the 2012 Boston Red Sox pitching rotation. Valentine isn’t exactly sure when he realized the subject turned from mere spring training debate into an epic struggle indicative of humanity’s unending plight. Known for his flair for the dramatic, Bobby V. believes the drama of the fifth-starter competition will translate beautifully onto the Broadway stage. (Photo via Reuters). The third act, predictably, will be simply the “Daniel Bard” character standing on top of a dirt mound pontificating on his new job and the potential for a long-term big-money contract if he succeeds. Critics are already recognizing the show’s potential to become an iconic success. PBS has already been granted backstage access to any rehearsals and the pre-production process.